A Girl and Her eBooks: Line Dancing Bundle by Kathy Carmichael - $0.99! 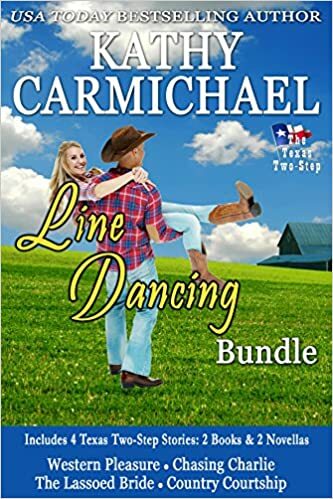 Line Dancing Bundle by Kathy Carmichael - $0.99! The first four stories in The Texas Two-Step Series are now available at a limited-time bargain price! The price on the books separately would retail for nearly $14. This is a deal you won’t want to miss! All Texas Two-Step titles are sweet, charming and emotional contemporary romance. Each story in the series stands alone, but all Texas Two-Step novels and novellas feature love stories about members of the Nelson, Murphy or Palmer families — and sometimes, more than one! 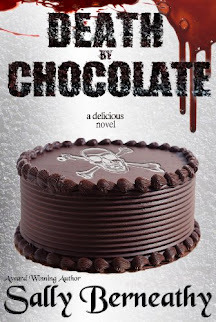 Six years ago, Barbara Palmer fell head-over-heels for cocky cowboy Ben O’Shea. He was devastatingly appealing, and he knew it. He had her heart—until the day he stood her up and disappeared. Now he’s back, determined to take up again where they left off—even though she’s about to marry another man. Despite all the growing up Ben has done in the past six years, including the highly successful dude ranch he’s built that’s made him a millionaire—he’s never forgotten Barb and he wants her back. But her wedding grows closer every day. He has to win back her love and her trust, before she’s lost to him forever. When Kelli Palmer meets Bobby Gray Nelson at a family get-together, their attraction is immediate. But Kelli’s kid sister already has dibs on Bobby Gray. Now Bobby Gray must do something he’s never done: woo the woman who’s already claimed his heart, and earn permission to place his brand on hers. Let Me Be The One by Christa Maurice - $0.99!